Financial losses sustained from a divorce can be devastating to one's financial future. 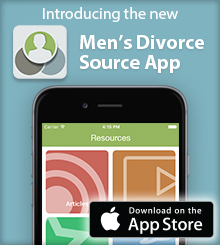 Men do not financially recover faster from a divorce. Goals and a plan help in the recovery process. "By saving a little money here and there, you are taking control of your financial future." When going through the divorce process, your life and the life of your soon-to-be ex-spouse finds itself under a microscope. As your home, your family, and your assets are sorted through, it is important to identify the financial goals that you may have, in terms of acceptable losses. It can be an especially difficult question to ask, due to the fact that if you are the source of the primary income in the household, your finances are going to take a hit. It’s hard to lose money for any reason, but to go through a process knowing that a significant part of it is losing money, can be a hard pill to swallow for many looking to maintain their finances and standard of living. According to financial advisors at The Balance, researchers estimate that divorced spouses would, on average, need more than a 30 percent increase in their income to maintain the same standard of living they had prior to their divorce. These types of statistics create the anxiety that cause many to lose focus on what they have to lose during the process. Without a prenuptial agreement in place, alimony is a separate entity from child support, if you have children. While alimony can be seen as a temporary form of helping the soon-to-be ex-spouse who makes less money than the other, the calculation of the alimony is what can be subjective and varied, causing a range of rulings to occur. According to research from Utah State University, the financial burden on men specifically is substantial. The standard of living loss is general between 10 and 40 percent, and there are a couple of reasons why it statistically is often greater than the ex-wife’s. The first is the aforementioned alimony and child support that statistically is more likely to come from the man. The second has more to do with the wife’s contribution to the finances during the marriage. If the ex-wife contributed a substantial amount in income to the family, he will struggle to make up for the lost income. The levels of income contributed during the course of the marriage are important. Men who provide less than 80 percent of a family’s income before divorce suffer more financially, according to research. Additionally, men who provided more than 80 percent of a family’s income before a divorce do not suffer as much financial losses and have a better chance of improving their financial situation. Unfortunately, not everyone has the capability of providing 80 percent of the family income before a divorce, and even if they do, there’s a chance that their 80 percent or higher that they contribute to the family income is not enough. If someone is working for minimum wage and what they make is 100 percent of the family income, improving their finances after an additionally impactful divorce is far from as easy of a task as this research may lead us to believe. Financial recovery after a divorce is not the simplest task, but it can be feasible, depending on your situation. One thing that will not help is waiting. Procrastinating will get you no where and may set you further back, according to Time Magazine. By keeping in mind the previously mentioned goals and following plans and strategies that includes an investing program based on income and goal achievement, you can move forward in your goal to regain a level of financial independence you may have had before your divorce. As difficult as it may be, it also is beneficial to save. By saving a little money here and there, you are taking control of your financial future. You are controlling what can be controlled and investing in your future. It also is important to live within your means. Facing debt while you spend extraneously will only create additional financial problems. Keep an eye on all aspects of your spending and how they compare to people within your income bracket. How much are you paying for rent, in comparison to a neighbor down the street in a similar home? How much are you budgeting for groceries and utilities? In comparison to what you spend in a month, how much do you make? These are the types of questions you need to be asking yourself while attempting to save money and regain some financial footing that was lost during the divorce. It can take many years to recover, and some never do. In some cases, the financial losses sustained during the divorce become second spouse’s financial losses, which are taken on during the event of a remarriage, according to “Encyclopedia of Family Health,” edited by Martha Craft-Rosenberg and Shelley-Rae Pehler. Whether it is occurring now or occurred a decade ago, the loss is a reality that you live with, and sometimes, it is something that you simply cannot take on alone. Aside from the aid of friends and family, there are many resources out there dedicated to helping you get through the tough loss, depending on your circumstances, according to the Cambridge Credit Counseling Corporation. These resources include the National Association of Personal Financial Advisors, the United States Department of Veteran Affairs, and the Social Security Administration. Depending on your individual circumstances, these resources are designed to help those that fit their parameters and create the assistance needed. As beneficial as these resources may be, you simply cannot stand by and do nothing, hoping that they will solve your problems for you. Only with your effort will you get out of this situation and recover from the financial losses that can be sustained during the divorce experience.